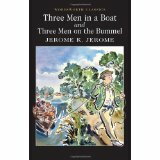 Three Men in a Boat, by Jerome K. Jerome. A classic. I particularly love the part where they try to open a tin of pineapple without a tin-opener, and Uncle Podger hanging a picture, and then there’s . . . but read it yourself, if you haven’t already. The Pursuit of Love, by Nancy Mitford. I was twenty-five when I first read this, and have lost time of how many times I have read it. Romantic and touching as well as funny. The Harpole Report, which I blogged about a couple of posts ago. P. G. Wodehouse, Summer Lightning. Difficult to chose just one, but many years ago when I was living alone in a bedsit in Birmingham this was read by Ian Carmichael as a Book at Bedtime. Sheer bliss. Gerald Durrell, My Family and Other Animals. A teenage favourite that has endured. Joyce Dennys, Henrietta Sees It Through. Again, mentioned before as a favourite on the blog. I wish it was twice as long. There is another volume, but it’s not enough. Michael Simkins, What’s My Motivation? Michael Simkins is one of those decent, jobbing actors who often plays the main character’s boss, as in he does in Foyle’s War, but he is also a wonderful comic writer, writing frankly about the up and downs (mostly downs) of the actor’s life. Kate Dunn, Exit Through the Fireplace: The Great Days of Rep. Another theatrical offering drawing on actors’ memories of door handles jamming on flimsy sets and fluffed lines (‘It’s Marple, Miss Murder!’). I nearly fell out of bed laughing. Sue Hepworth, But I Told You Last Year That I Love You. One of the funniest writers that I know – and a great friend, maybe because we make each other laugh. Bill Bryson, The Thunderbolt Kid. Not only very funny, but contains some startling insights into the America of the fifties and sixties. Another day it might be another choice, though most of these didn’t really need thinking about, they are such old favourites. I’m longing to see what Moira has chosen. Ps. I have now, and it is fascinating. Hardly any overlap, so lots more for my reading list. Robert Harris’s novel, An Officer and a Spy, has won the CWA Ian Fleming Gold Dagger for the best thriller of the year and deservedly so. It is a masterly fictional account of the Dreyfus affair, one of the greatest miscarriages of justice in history. I have been intrigued by it since I came across it when I taught a course on French painting 1880-1920. The affair, in which Jewish army officer, Alfred Dreyfus, was wrongly convicted of treason and exiled to penal servitude on Devil’s Island, split the nation and caused bitter arguments, dividing even families into Dreyfusards and anti-Dreyfusards. The artist Degas was an anti-Dreyfusard. The cover-up went right to the top, involving high-ranking officers and politicians. It was only the courage of army officer Georges Picquart, and a few others, including Emile Zola, that blew the conspiracy apart. Zola’s open letter to the President of the Republic, beginning ‘J’accuse’, on the front page of the newspaper L’Aurore on 13 January 1898 was a clarion call to justice. It’s a great story, and Robert Harris pulls off the difficult job of turning a complex historical event into a thrilling novel. His research – which must have been meticulous – never intrudes, the pace doesn’t slacken. It is narrated in the first person by George Picquart and this works well, as we share with him the dawning realisation of what has happened and the danger that he personally is in as he struggles, reluctantly at first, to right a terrible wrong. An Officer and a Spy is a great read. ‘Mrs Grindle-Jones in a very emotional state this morning. She stormed into my study and clapped down her register, hissing that “Those Widmerpools are away again, every one of them . . . Her eyes were brimming and her neck was a peculiar mottled red. . .
After reading A Month in the Country, I decided to read J. L. Carr’s other books. 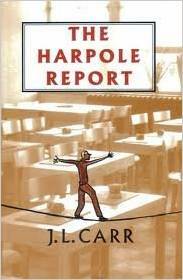 The Harpole Report has gone straight onto my list of favourite novels. It is never entirely clear who is compiling the Harpole Report, which through journal entries, the school log, letters, and other means gives an account of the hapless George Harpole’s first term as acting Deputy Head at a primary school in the Fens. It is set in the 1970s and though some things have changed in education, George’s tussles with bureaucracy, with difficult parents, and above all with with his ill-sorted crew of teachers and caretaker are timeless. Carr spent his career as a primary school teacher and head and it shows. The book has important things to say about education, and it’s a bit of love story, but those are incidental: above all, it is just very, very funny. 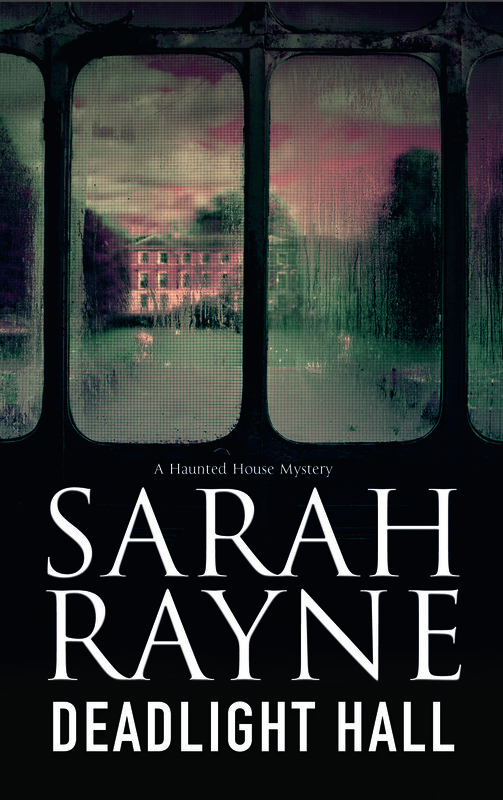 I love a theatrical mystery, so Sarah Rayne’s Ghost Song, set in the vividly realised Tarleton theatre on London’s Bankside, has been on my TBR pile for a while. I’ve just finished it and loved all the details of the old music hall shows, the terrific creepiness of the old theatre at night, and the can’t-stop-reading suspense. Sarah has kindly agreed to be my guest today. I began by asking her, How do you carve out time to write? What’s your writing routine? These days I’m lucky enough to be able to write full-time, which means starting around 8.30 am and finishing at a reasonably civilized hour. But there was a time when I lived a double life, pursuing a fairly hectic nine to five job, writing when and where I could: in the car, on the hoof, during meetings if no one was looking – I used to make furtive plot notes on the back of quarterly sales reports. In the evenings I wrote into the small hours to meet deadlines, so I generally arrived at the office each morning pink-eyed from lack of sleep. What comes first for you: a theme, plot, characters? It’s usually an idea, and ideas are everywhere. They’re in bits of TV news items or overheard conversations in the supermarket. Some years ago, my brother searched the newly-released Debt of Honour Registry for mention of our father who had died in 1963, but fought in WW1 – he was fifteen when war was declared and he lied about his age to join up. Disconcertingly, we found that someone with father’s name, age, regiment, and place of birth, was listed as having been killed in action in 1917. 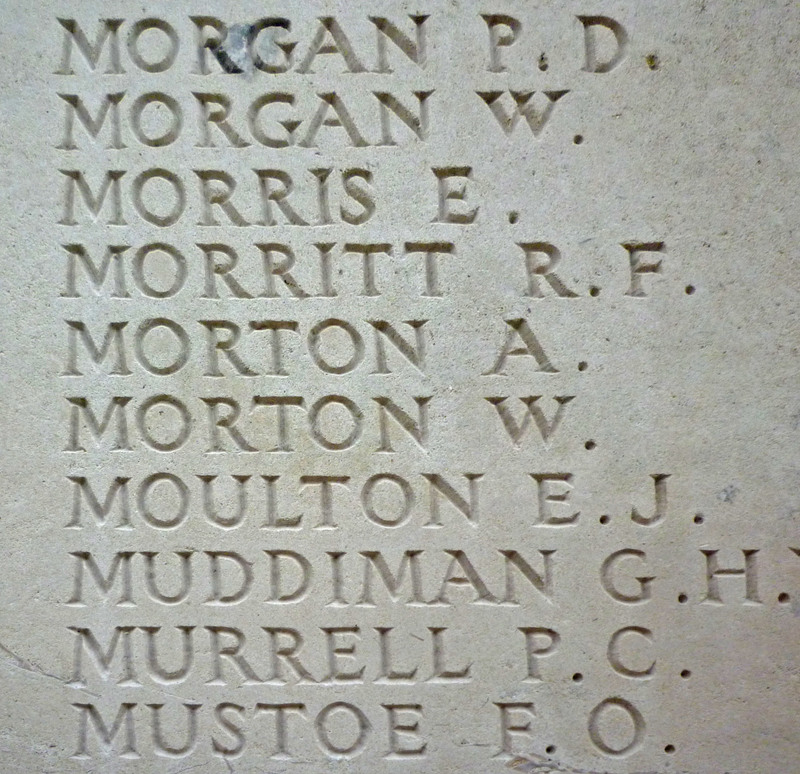 His name was even inscribed on the Menin Gate in Ypres. We knew very little about father’s early life – he hadn’t met mother until 1940 and by then he had lost touch with his family, so there was no one we could ask. So who was it who had died in 1917? Who had my father really been? For me, that was the start of a fascination with the Great War – its causes, its atmosphere, and the many tragic and heroic stories about the individuals caught up in it. Over the years I wrote two books touching on its causes and build-up – Ghost Song and What Lies Beneath. But for The Whispering I was interested in the letter that soldiers wrote for their families, in the event of their death. A last farewell, a final message of – what? Love, regret, courage? With that question, a plot began to take shape, centring on a young man from a remote house in the fens, writing that letter to the people still living there… But a young man who believed he was going to die in an unexpected way, and who wanted to preserve the heroic legend his family had created. Often in your novels the present is intertwined with the past. Tell us a bit more about your interest in history. I think it’s that I like the feeling of the past affecting the present. And I do just that. I don’t mean cavorting round the Tower of London thinking you’re seeing Ann Boleyn. I mean ordinary buildings where people have lived and worked. There’s so much to hear from them – their atmospheres, their histories. Homely details like how Winston Churchill stipulated there must always be a ginger cat called Jock in residence at Chartwell. And so there is. The supernatural figures frequently in your novels, notably in your Michael Flint/Nell West series. Have you had any supernatural experiences yourself? The nearest I can get is an incident that occurred while writing House of the Lost. I was describing a character’s appearance – it always matters to let readers know what people look like, of course, but this was a special case because he was being eyed with semi-suppressed ardour by a lady who shouldn’t have been eyeing him at all. I’m glad to say he had bought pasta, wine, cheese and fruit. If he had been buying chicken nuggets and frozen faggots I would have had to re-write the whole of Chapter Six. By the time I reached the car park he had vanished. I do know the sensible explanation was that I’d seen him in the supermarket on a previous occasion and subliminally absorbed his appearance and used it. But I would much rather believe that no one else in that supermarket saw him except me. My tastes are quite catholic – but I enjoy anything that’s well written. I do love the classic ghost stories from the early 1900s – M.R. James and his brethren. I’m also a huge Dorothy L Sayers admirer. And one of my desert-island books is Broome Stages, written in the 1930s by Clemence Dane. A massive doorstop of a saga about a theatrical family over three centuries. I’m halfway through the sixth in the Michael Flint/Nell West series – which is probably going to be called The Bell Tower. This series has been so good to write – I’d only done stand-alones before, and I’ve loved staying with the same two central characters all through. The Authors’ Licensing and Collecting Society recently did a survery of writers’ earnings and discovered the median income of British professional writers is now £11,000, down from £15,540 in 2005. I am not surprised by the drop in earnings: writers are earning less per sale than in the past. Amazon slashes prices and this in turn slashes a writer’s income. Discounts have never been greater. The writer, who has produced the book, gets the smallest slice of the cake. Most writers do other things, too: teaching, editing, journalism. I was membership secretary of the CWA for a while. ‘The death of the midlist:’ that is, of all those many, many worthwhile books that are not among the best-sellers. It is a sad prospect. Not to mention the fact that many of today’s best-sellers started out as mid-list writers and wouldn’t have been best-sellers if publishers hadn’t believed in them and given them time to succeed. It’s true that it’s never been easier to self-publish, but at the same time it’s never been harder to get a start with a decent publisher. The First World War poets – Wilfred Owen in particular – were still very much read when I was at school. And I must have been in my teens when I read Robert Graves’s Goodbye to All That. Most moving of all was Vera Brittain’s Testament of Youth, which I read in my late twenties in an edition brought out at the time of a TV adaptation. Brittain lost both her fiancé and her brother, along with many of their friends. And yet, though I had two grandfathers who served in WWI and one of them had even pulled up his trouser leg to show the marks of shrapnel in his calf, I never thought to ask them about their experiences. Nor did I think to talk to my grandmother, my father’s mother, whose older brother had died at Passchendaele in October 1917. Now of course they have all been dead for decades and because my father died so young, I never had the opportunity to talk to him about his uncle and the effect his death had on my grandmother. He was in any case born nearly a decade after his uncle died. None of my family have ever visited Tyne Cot near Ipres in Belgium where the death of my great uncle, Richard Francis Morritt, is commemorated, I am pretty sure. They were working class people who would not have thought of going abroad. I discovered the exact location from the War Graves Commission web-site and last week on a grey and drizzly October day I stood in front of the his name on the Memorial to the Missing and felt the tears well up. Tyne Cot is the largest British Commonwealth war cemetery in the world. The Memorial to the Missing lists thirty-five thousand men. My great-uncle has no known grave, though he may well be buried in Tyne Cot, for over half the 11, 956 bodies buried there were never identified and their gravestones are simply inscribed with the words ‘Known unto God.’ Or he could be lying somewhere in the fields of Flanders, waiting for some farmer to turn up his bones. My great-uncle was twenty-six when he died. I felt sad that there was no grave, but glad to have gone and visited him all these years after his death. He is not one of those ‘which have no memorial; who are perished as if they have never been.’ His name will always be there. But oh the thought of those thousands on thousands of young men, and their mothers and fathers, their sisters, wives and sweethearts . . . The context to it all is very well set out in the Memorial Museum in the nearby town of Zonnebeke, though it doesn’t make it any more comprehensible. The scale of the slaughter is staggering. Award yourself a point for each cliché spotted. 1. The protagonist is separated/divorced/widowed/has just emerged from a toxic relationship. 2. Their new love interest turns out to be the villain or winds up dead or possibly both. 3. They had a traumatic childhood (abusive father, alcoholic mother, or whatever). 4. They drink too much (regularly or a single binge: either is fine). 5. They have a difficult relationship with a child or sibling. 6. They screwed up their last case and must redeem themselves. 7. One of their subordinates is secretly undermining them. 8. Their superior is threatening to take them off the case. 9. Someone who is about to give them vital information is found dead. 10. They confront the villain without waiting for back-up (or dialling 999). If you read a novel (or watch a TV programme) which contains all ten – and it does happen – award yourself double points. And for writers, while it’s possible to write an excellent novel containing some or even most of these elements, it might be best not to throw the whole lot in.